GSA's Director for Engagement and Development – Committed to supporting career and professional development of graduate students and postdocs as they navigate careers in the scientific enterprise. During my many interactions with grad students and postdocs, I have learned that a large number of early career scientists train on campuses where important career development services are not widely available. 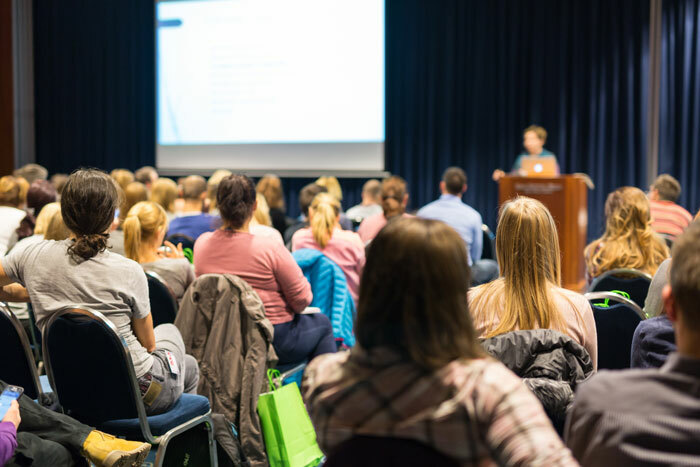 While some schools may provide a diverse array of such services, at many other institutions the only opportunity to enhance early career training outside the lab is through attendance at conferences and local symposia. Here at the GSA, we recognize the importance of offering career development training in a variety of different forums. To increase accessibility of these programs, we provide graduate students and postdocs the opportunity to apply for Career Development Symposia grants. These awards allow students and postdocs to organize local symposia that provide career and professional development opportunities for early career scientists. As with any competitive application, it can be a bit intimidating knowing where and how to begin. Here, I’ll provide you with a few tips for a successful Career Development Symposia grant application. We’ve all heard stories about grant applications being triaged for minor errors in formatting. With all of the effort that goes into creating a well-crafted application, the last thing anyone wants is for a minor detail to take you out of the running. While we are not strict about margins or fonts, we do have some basic requirements. The most common mistakes we see for CDS grant applications is exceeding the 2-page proposal and CV limits. Be sure to carefully read through the application instructions. For these awards, you need to think about two audiences: the committee reviewing your application and future attendees. In the application, tell us why the meeting is important to your attendees. Are you addressing a gap in knowledge that you identified? Are you providing networking opportunities with industry professionals that are not common in your area? Whatever the reason, make it clear and provide supporting evidence. The committee needs to clearly understand how your meeting provides career development training. We often receive applications for scientific symposia that focus on the importance of the science. While this is important for the committee to know, the primary focus of the application should be on the career development opportunities to the organizers and attendees. Stating that graduate students and postdocs will have an opportunity to present their work is great. But that alone is not sufficient for a successful application. Think about how you can raise the bar beyond traditional presentations. Tell us about how the event provides a leadership opportunity for the organizers, add a structured networking event, or even provide a mini workshop on presentation skills at the start or end of the day. Identifying and articulating career development opportunities is a key factor for success! Agenda – Organizing an event takes careful thought and detailed planning. In your application, provide a detailed agenda. This is the place where you can raise the bar a bit. Rather than simply listing the time and name of each session, provide a list of skills developed by attendees or highlight the numbers of early career speakers. Budget – Many applicants ask me if including other sources of financial support is detrimental for their application. The answer is no. In fact, knowing that organizers have a plan of action for obtaining additional funding provides confidence that the event will be successful. It also demonstrates that other groups also see the event as valuable and relevant. Advertising – In your application, be sure to not overlook adding information about your advertising and promotion plans. It seems like a minor detail but we want to know that you’ve thought about effective ways to advertise using a realistic timeline. I hope these tips help to demystify the application process for these awards. We look forward to reading an application from you in the near future.